Would you like a privacy room to be divided both elegant and economic? OK, here comes a best choice! 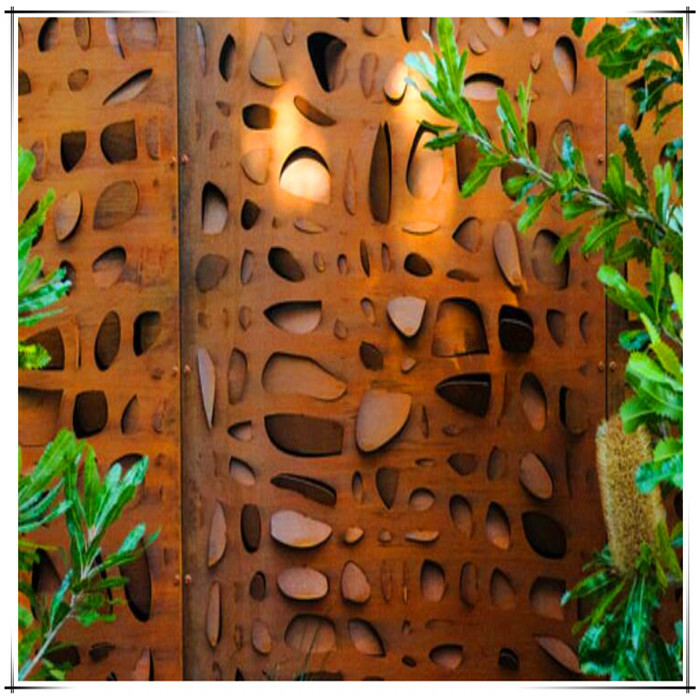 Corten Steel Laser Cut Screen! You may select from our existing 200 designs or design it by yourself! 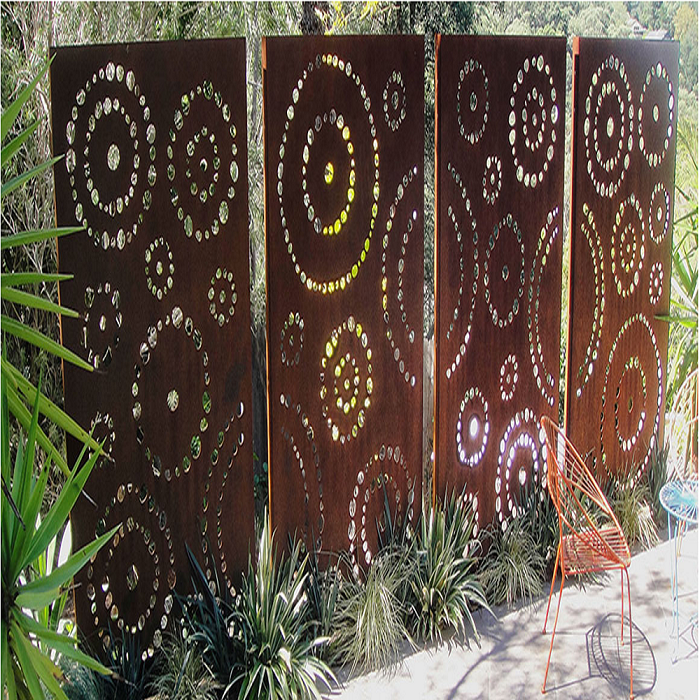 Laser Cut Screens are of 4 exciting materials & finish options, including Weathered Steel (Corten), Carbon Steel Powder coated, Aluminum and Stainless steel. 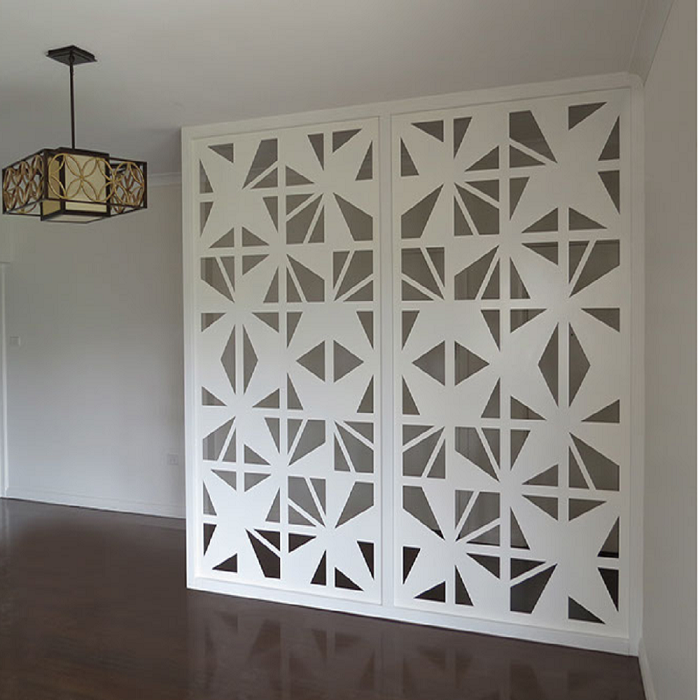 All screen designs can be customized to any size and shape and can be fabricated to allow for various fixing requirements. Customs designs are available on request. 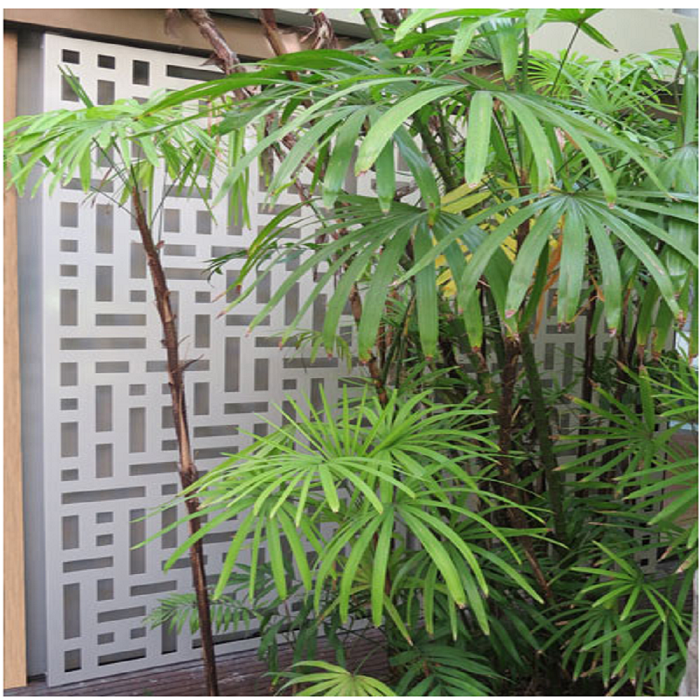 If you want our Laser Cut Metal Screen Brochure, pls feel free to contact me. 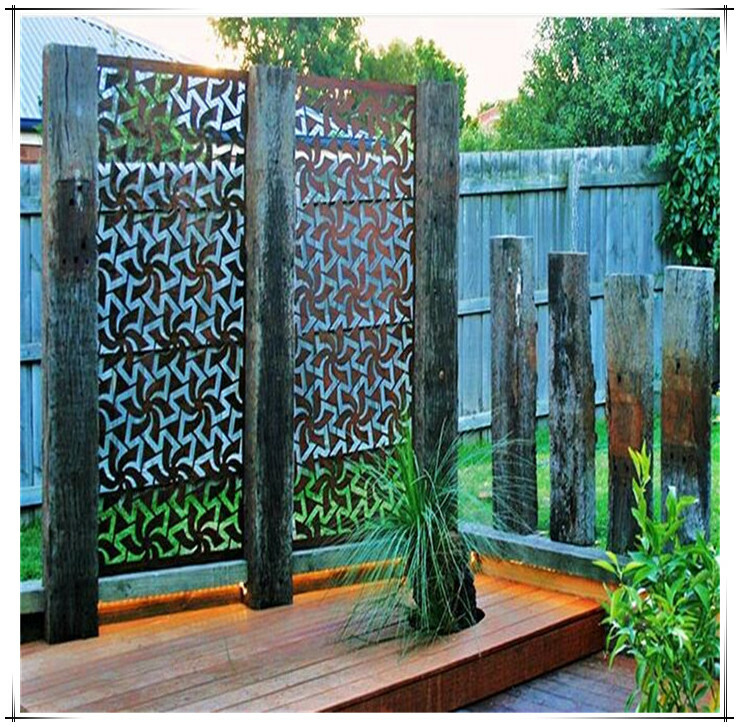 Looking for ideal Corten Steel Screen Manufacturer & supplier ? We have a wide selection at great prices to help you get creative. 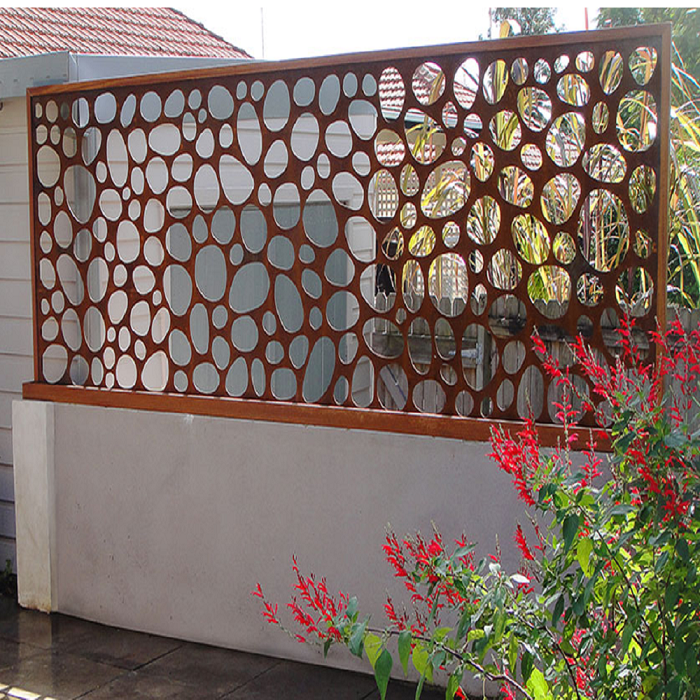 All the Decorative Steel Screen are quality guaranteed. 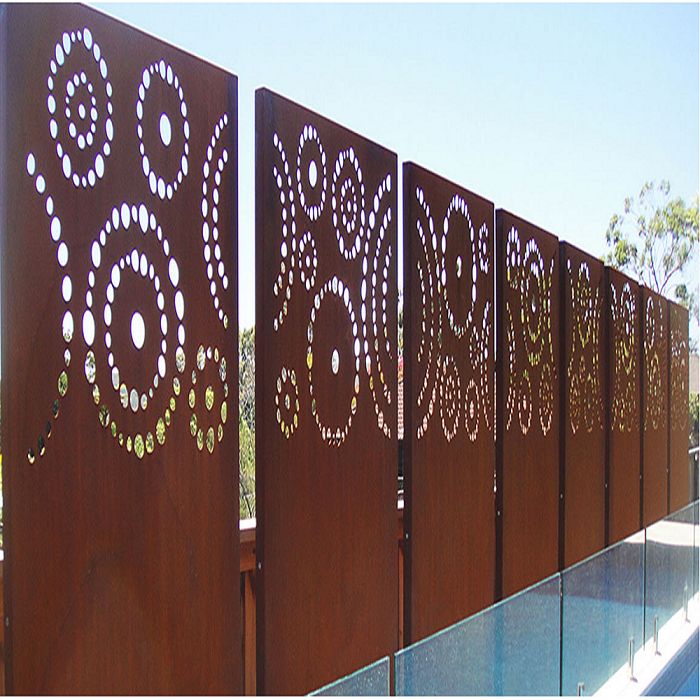 We are China Origin Factory of Laser Cut OEM Screen. If you have any question, please feel free to contact us.